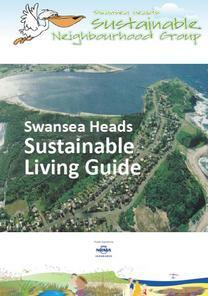 The Swansea Heads Sustainable Neighbourhood Group have developed a Sustainable Living Guide. In June 2011, NRMA Insurance awarded the Swansea Heads Sustainable Neighbourhood Group (SHSNG) a $5000.00 grant to develop the Swansea Heads Website (www.swanseaheads.weebly.com​), develop and implement a Simple Home Energy Audit study and to develop a Sustainable Living Guide for Swansea Heads residents. The result is a fantastic resource, relevant to all Sustainable Neighbourhood Groups, and others interested in treading more lightly on the Earth. In March 2014, the Swansea and Swansea Heads Sustainable Neighbourhood Groups joined forces and expanded into Caves Beach to form the Caves Beach - Swansea Area Sustainable Neighbourhood Group. to find out more about their upcoming activities, and be added to their email list.